Call Us Today for Cheap Hotel Rooms! King's Inn has been around for over 40 years. Our hotel rooms offer great amenities to make your stay pleasurable and affordable. King’s Inn accommodates business travelers, families, family reunions, and overnight stays for special events in the Greensboro and Winston Salem, NC area. We offer hotel accommodation for commercial and weekly rates for those who are looking for extended stay hotels. Our goal is to provide a comfortable place for you to stay without having to charge you a king's ransom. We offer the leading cheap hotel rooms in the area. Whether you are looking for extended stay hotels, conveniently located cheap hotel rooms or a motel with friendly service, you have come to the right place. If you’re looking into extended stay hotels, we can serve you better than almost anyone else in the area. We offer fantastic amenities to help you feel comfortable and at home, and our rooms are spacious and beautiful. We offer affordable hotel rooms in the Winston Salem, NC area. We have everything that you will need, and our customer service is the best. From our location, you can conveniently access area attractions, restaurants, universities, and more. Call us today if you are searching for extended stay hotels. King's Inn offers cheap hotel rooms in the Greensboro, NC area, whether you're staying for business, pleasure, or just passing through. Guests at our hotel can enjoy features and amenities that include wireless internet access, cable TV, double bedrooms that come with a dining area, and more. Each room is equipped with a microwave and refrigerator. Kitchenettes are included with an extended stay. Take advantage of our extremely comfortable beds and relax while saving money year-round in our cheap hotel rooms! King's Inn provides kitchenette, cable color television, refrigerators, microwaves and wireless internet access in all of our rooms. We are comparable to all motels and hotels in the area. King's Inn is easily accessible from Business I-40. The next time you need a place to stay, simply come by or give us a call 336-996-3671. Proudly serving Greensboro, NC with spacious hotel rooms. 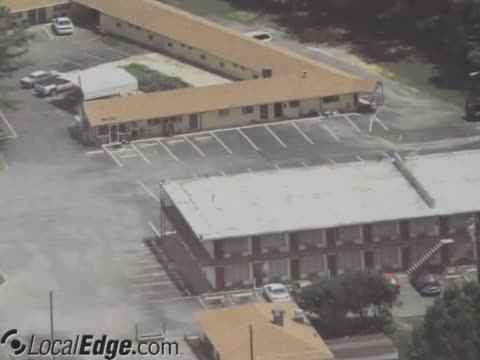 Motel Rooms, Commercial rates, weekly rates, kitchenettes, cable color television, wireless internet access, refrigerators, microwaves, dining area, loveseat sofa area, convenient to Greensboro and Winston-Salem, easily accessible from Business I-40.